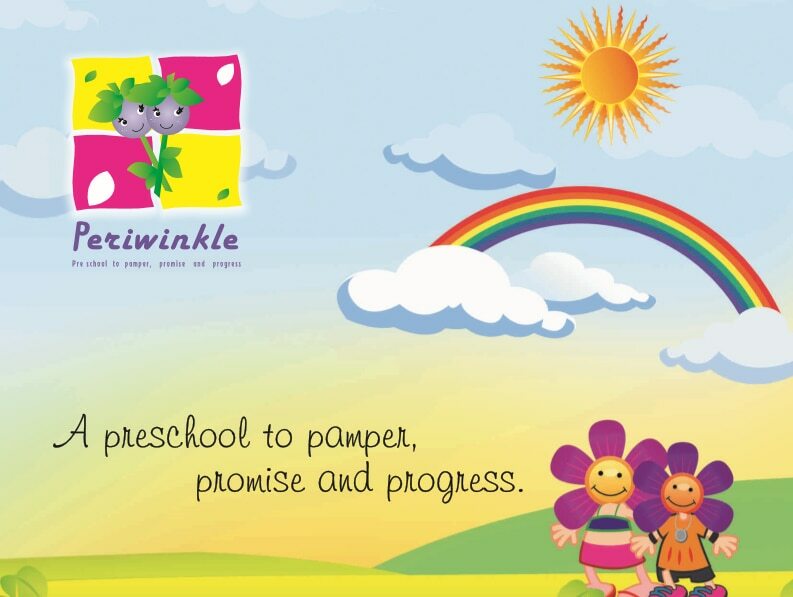 Periwinkle Preschool Periwinkle is a garden where young minds blossom to their natural abilities without the stress of forced learning. Periwinkle is a cheerful bright zone with caring teachers, classrooms filled with colorful playthings, and a vast outdoor to jump and play with joy. Our children learn in small groups with a maximum of 1:7 ratio and our emphasis is on emotional and social coaching. Our teachers are compassionate and loving. Every staff member provides an inspiring and joyful environment. Periwinkles, as we call our children, are from diverse family backgrounds come with a wealth of interests and abilities. Growing and learning in such a place would help our children get started on their lifelong adventure of learning. daycare centre in banashankari we provide clean surrounding, good healthy food , sound nap time , good care . Preschool in Banashankari and Srinagar we have special care on nutrition and eating habits. The most loved Preschool and Daycare at Banashanksri and Srinagar - Periwinkle Preschool and Daycare "Yellow day" celebrations:-) Colour day concepts make our children identify and relate to the colours in their surroundings. When a colour is highlighted throughout the day, it feels special and memorable to all kids. Exclusive sand play area at Periwinkle Preschool and Daycare, BSK 2nd stage and Srinagar. Kids love playing in sand. Getting their hands muddy and sharing this joy with their peer group is one of the most happiest moments. Periwinkle Preschool and Daycare provides this to all our children with exclusive sand play areas at all our centres.